Late night ramen is great but sometimes you just can't wait till 11pm on a Thursday to slurp some noodles. 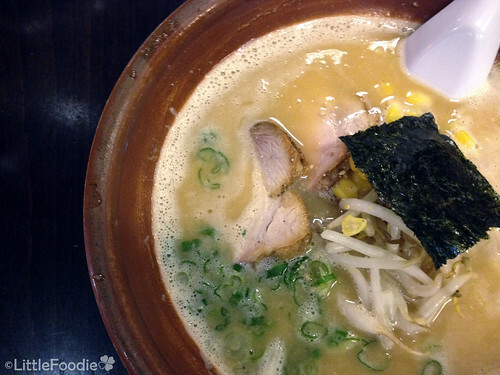 So for your daytime ramen cravings head to Sapporo Ramen in Porter Square. We got there just before it opened and there was already a long line of hungry patrons waiting to be seated. The place isn’t big but luckily the turnaround is pretty fast. The review of the ramen is a little bit more complicated. I tried the miso ramen which definitely has a much better stock than that at Uni...maybe even better than at Momofuku Noodle Bar. The soup is super creamy with a mild miso taste. However, on the downside the quality of the sliced pork was not as good as at Uni, it wasn't chewy or hard but not much flavour on their own. Also the photos doesn’t do the size justice. This is about twice the size of that at Uni so expect to be extremely full when you leave. 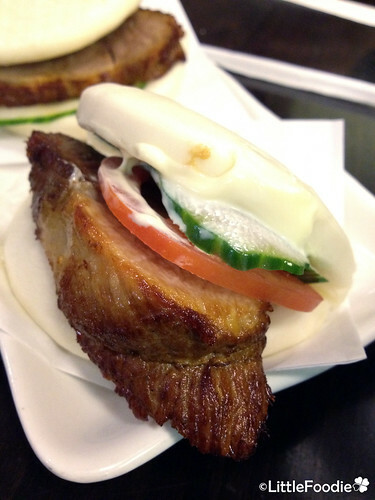 Likewise they also have a pork bun which comes served in two ways. One with mayonnaise based sauce and the other with a thick soy based sauce. This isn’t as good as the Uni or Momofuku pork bun. The bun was a bit dry and the pork was very lean. I really wouldn't recommend this. Just stick to the ramen. Despite some reservations regarding the ingredients used. This ramen is really great and perfect value for money. It is also super popular. By the time we left there was another line of patrons waiting to be seated. Visit if: craving ramen and it isn't late on a Thursday, Friday or Saturday.